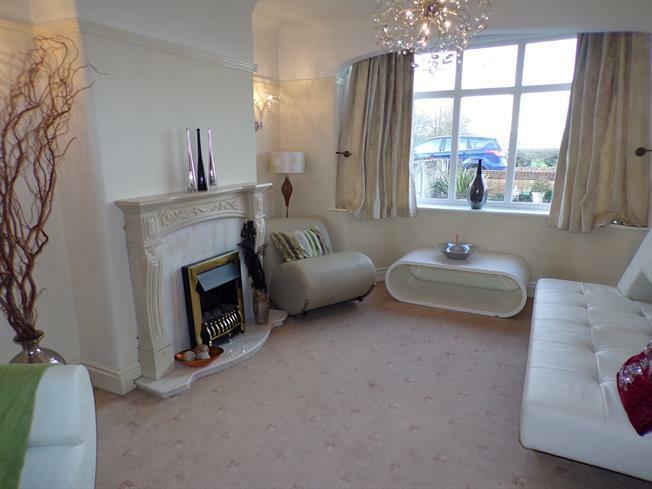 3 Bedroom Semi Detached House For Sale in Newton-le-Willows for Offers Over £233,000. This tastefully decorated period style semi detached property has been lovingly looked after by the current owners to offer for sale a wealth of style and deign. On entrance the accommodation offers hallway with stairs to the first floor, light and airy lounge with bay window to the front, open plan to a sitting room. Double doors to the dining room and a breakfast kitchen. To the first floor there is a master bedroom, another double bedroom, study and shower room. To the second floor A third bedroom and storage.